Impulse Studio. XBody Studio Kuala Lumpur. 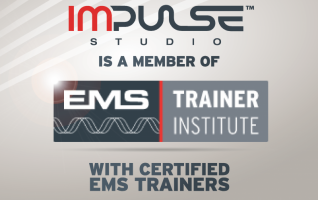 EMS (Electric Muscle Stimulation) can be used as a training, rehabilitation, preventive and as a beautifying tool. The impulses are generated by a device and delivered through electrodes on the skin directly above the muscles to be stimulated. The impulses cause the muscles to contract, so the result is similar to the actual movement of the muscles. It’s the 21st century training. The electric impulse stimulation works on the deeper muscle tissue as well to improve your posture as the way you feel: the blood circulation of the muscular and connective tissues will be enhanced which leads to a firmer, more toned skin. What an effective anti-cellulite treatment. The muscle workout makes bones stronger, so they are more resistant to fractures, and indirectly helps avoid osteoporosis. Sport has to fit between meetings, partnership and children. The solution: effective, fast and focused training. 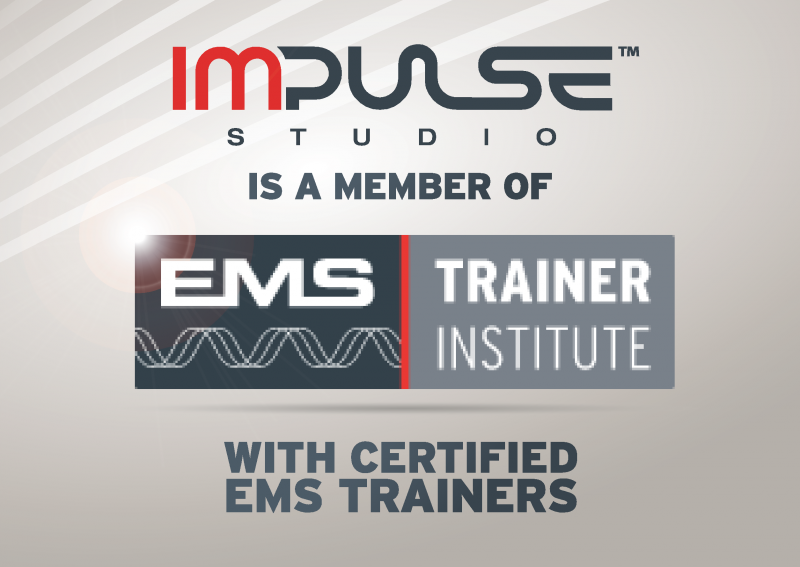 EMS Training provides the maximum fitness results in minimum time. With our EMS training you achieve your athletic goals without a doubt. Why? Because EMS training is intensive and effective. You do not need more time for a complete EMS training. We promise! You do 12 to 15 functional exercises per workout. EMS is up to 18 times more efficient than a conventional gym workout, which scientific studies have proven. 20 minutes EMS training replaces up to 6 hours of conventional gym workout. EMS training always trains all muscle groups instead of each muscle - a total of around 90% of the entire muscular system are trained simultaneously. With us you never train alone. Our personal trainers know how to perform the EMS exercises precisely and direct you. All our trainers are certified for training on XBody devices. You are more than a membership number in an anonymous gym. We know your name, your fitness level and your goals and support you from start to finish. Fixed appointments help to keep you on track and make sure that you have no waiting time. You want to look better, boost your performance and health, improve your overall well-being? Or all together? EMS training will assist you. Through EMS training your body fat is reduced, muscles built up, tissue strengthened and your metabolism activated. And if you observe yourself and your body carefully, you will soon realize: EMS makes life just easier. Research studies from the Bayreuth University in Germany report the following results after a 6-week training program with EMS: - 88% of people tested reduced their back pain. - Over 30% of those reported their recurring back problems had disappeared. - 75% showed improvement with incontinence problems, while 33% of those were cured of incontinence altogether. - Overall maximum strength ability increased by 12% while endurance/fitness levels improved by 69%. - On average, 85% of people tested felt an improvement of their body shape and 90% ranked the EMS training method as positive. - Training with higher intensity produced effective results, especially with subjects who suffered from recurring pain and other ailments. It also resulted in enhanced muscle definition and tone. - The values that were measured underscore the fact that whole body EMS-training is up to 40% more intensive than traditional strength training with weights! 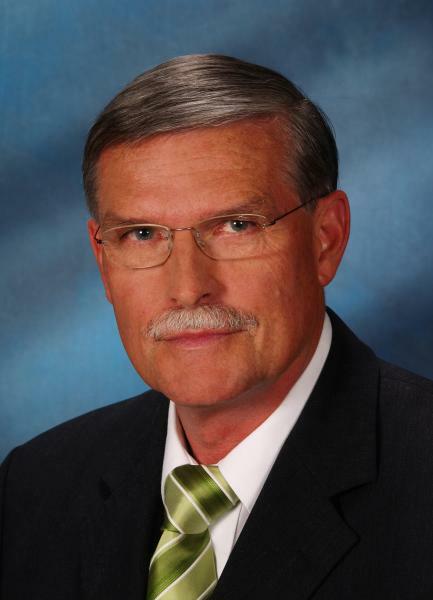 We are proud to have Dr. Herbert Schmellenkamp, biochemist from Germany, as an advisor in our Impulse expert team. Herbert was i.a. Managing Director for German Cancer Society and Comprehensive Cancer Center(CCC) - Heidelberg and Head of scientific departments of several pharmaceutical companies in Europe. 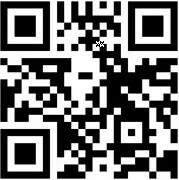 Enter your fabulous email in our Newsletter sign up form and grab our free guide to get you on board with insane workout tips and guilt-free food plans to help you have a healthy body, mind and soul and embrace life with happiness and never have to starve and stress your joints again or exhaust yourself to get the same result.